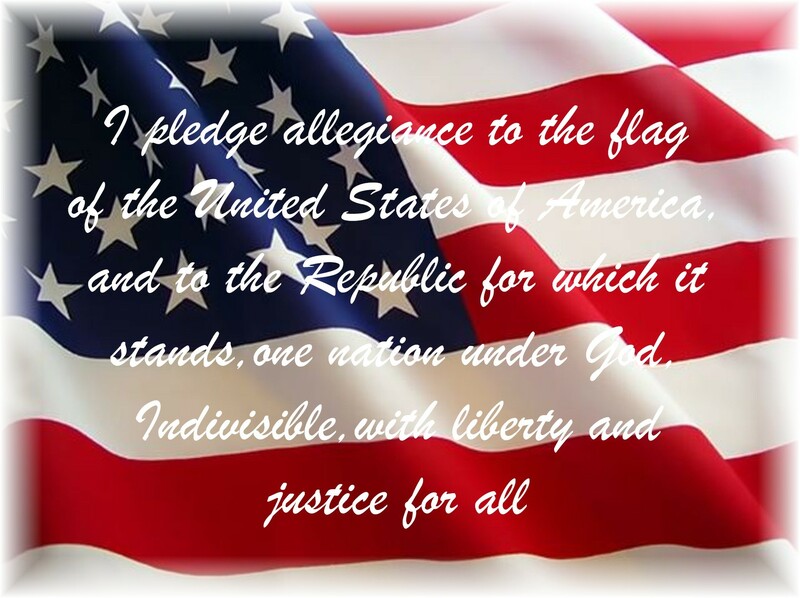 The Pledge of Allegiance recited in Spanish; in Arabic with the words, one nation under Allah? What the hey? Beam me up Scotty … back to America. Yes, it’s true. 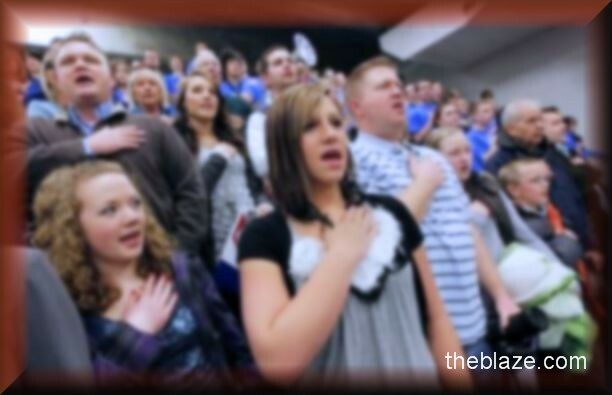 Rocky Mountain High School in Fort Collins, Colorado recites the Pledge of Allegiance every Monday. Recently the pledge was said in Spanish. Next, a member of the “Cultural Arms Club” recited the pledge in Arabic. One nation under God became one nation under Allah. If we want to welcome students from other countries and cultures the best way is to have them respect American values and beliefs. In the first post, I wrote that granddaughter Brittany wanted the school in Colombia to say the pledge in English to make her feel welcome. I did this for affect—to draw attention to the sense of entitlement some people feel. Should we move to South America where we would live, school, work and thrive than we would honor that country. Brittany would learn to say the pledge in Spanish to show respect. Some people don’t respect our flag anymore. 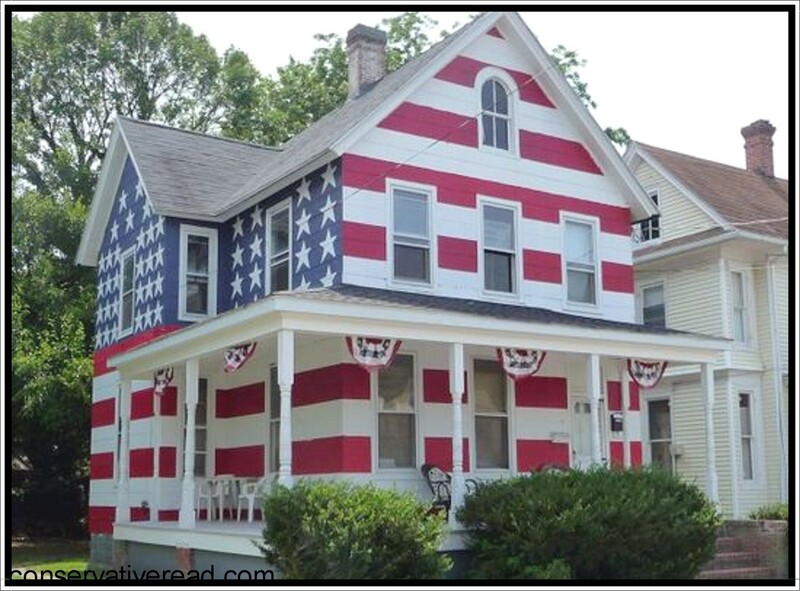 Just this morning, the news reported that a man was not allowed to fly the American flag from his balcony. The issue went away when an attorney got involved. In one neighborhood, a man protested the invasion of code enforcers at his home. This photo shows his solution to the problem. Don’t ya just love it? The stories go on, all across the country. You know what folks, it’s time to stand up, to bring back pride and respect for our flag. To honor the men and women who have sacrificed life and limb to give us the freedom to say the Pledge of Allegiance. weeks. Lotta stuff to take care of. See ya in October. This entry was posted in About Us and tagged Allegiance, America, Arabic, Country, flag, freedom, loyalty, Military, Nation, Neighbor, Pledge, pride, Spanish. Bookmark the permalink.